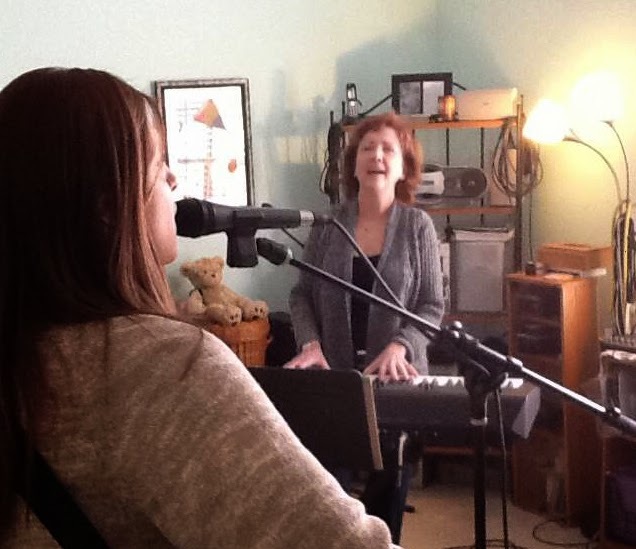 It started out just fine Friday afternoon- I had given my last voice lessons, returned all my phone calls and answered emails, packed the car with my keyboard, music, performance clothes, etc, and all the other stuff I've grown accustomed to taking with me. I had double-checked to make sure I had all my cords, pedals and other gear (oh how I miss having a good road manager!). I took a deep breath, grabbed a CD of "Runaway Home" song demos in case I had a chance to do some homework (I'm writing the music out so theater groups joining the Runaway Home Alliance who don't know the Nashville number system can learn the songs), and took out southbound on I-65. I was making good time getting to the final skit rehearsal (a hilarious take-off on "Anything Goes" by the host chapter) and sound check scheduled for 7pm that night; the gig was Saturday afternoon. About half way there my thoughts began to drift along from new song lyrics, vocal warm-ups, script lines, to-do lists, future plans and such. I nonchalantly glanced at my gas gage; it read "full", so I paid no further attention. That is, until my car began to lurch and lunge in the tell-tale "out of gas" dance! I was so completely out of gas I had allowed the gage to get stuck somehow, and it went from reporting "FULL" to completely "EMPTY". I coasted as far as I could to try and tell exactly where I was, but when I stopped I still couldn't see an exit in either direction. All I knew for sure was that I was somewhere between Nashville and Florence. A sweet family of strangers stopped and gave me a ride to the next exit's gas station and drove me back to my car; I filled itwith a gallon of gas but it still wouldn't start. I finally made the decision to place a cellphone call to AAA, which always takes at least an hour to get to me (which is why I didn't call them in the first place). The tow truck couldn't start it with more gas, so I called my brother Billy Robbins, who is a master mechanic in Brentwood, Tn for advice. From the back of his Harley (he and his wife were riding in the "Trail of Tears" motorcycle event), he suggested that I have the truck tow me to a gas station, fill my tank half full and tap on my fuel tank with a hammer (don't ask me why!). It finally worked!! I drove off, a happy camper until I discovered that I'd left my purse in the tow truck. I contacted AAA who helped me met up with the guy again, get my purse and tipped him well! Meanwhile, my sweet sister Beki Ferguson came to meet me and make sure my adventures were over. If I had let the frustrations consume me, I know it would have negatively affected my performance. Instead, my mother was honored, my niece Gretta, a talented performer in her own right, worked the spotlight and got to see me practice what I preach to her, the sound guys (who didn't know me) were very surprised and complimentary, and Florence mayor Bobby Irons' wife Sara, herself a Red-hatter, told me I could quote her as saying she'd never been to a better concert. The banquet hall full of scarlet and purple gave me two standing O's - one in the middle of a brand new song "I Believe", which I co-wrote with Alicia and Jessica Yantz, and again at the end of the concert. All I can say is, Thank you God! I can say from experience - no matter what- it will all work out if we just trust the journey, treat everyone with kindness and respect and Roll With The Flow! Have you had any "road adventure" lessons lately? Confess!! So I tried something- I very lightly touched two fingers to the front of my larynx (Adam's apple) to remind my larynx that it didn't have to lift to hit those high notes. Darned if it didn't work! Just this slight suggestion to my automatic nervous system was all the reminder my voice needed, and I dropped the tension trying to build in my voice. I first heard of it from Boston vocal coach Jeannie Deva, who uses it in exercises to remind the larynx not to lift. It's a bit of an advanced technique for the recording studio, but it can come in very handy if you learn to use it in such situations. Let me know if you try it, or want to learn it. Lastly... sorry for the blog post about that MTM video again.. I was doing some experimenting with sending YouTube videos to my blog. I thought it was just a draft... I didn't know it would publish automatically. Duh. I deleted from my blog, but you'll have to delete from your email box. Please pardon. Breath - can you get enough breath in; can you control that breath when it is directed at your vocal cords? Open throat - Do you EVER experience throat tightness resulting in a feeling of vocal strain? Emotional connection - can you line up your performance focus and make somebody feel what you're trying to communicate? Range - do you have enough vocal range to sing your songs without strain? Bad vocal breaks - can you sing in a constantly changing mix of head and chest so that your voice doesn't "break" and you don't have to push the your top chest voice? Pitch - Do you have pitch problems? Tone - Is your voice harsh or weak, tinny or "hooty", limited in "colors" with which you can communicate different emotions, missing richness and resonance? 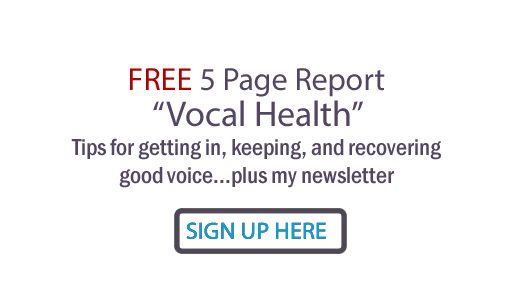 Miscellaneous vocal problems - Are you needing to recover from vocal damage or dysfunction? Do you have trouble with uncontrolled "flutter" when you sing? Is your voice too breathy anywhere in your range? Does your voice hurt in any way when you sing? (Note... if you sing properly you will get PHYSICALLY tired, but should not get vocally tired ("fried"). Level of vocal ability - Do you want to increase what your voice can do in any way? I hope this helps you with your decision, and if you are studying voice, I also hope this helps you figure out whether or not your training is working! (If you are my student, use this list as a checklist for further goals you wish to reach - and lets discuss them at your next lesson) Read this blog for continuing free vocal info, and be sure to share your questions, concerns and comments. Contact me for lesson scheduling, in office or via Skype or phone.